Made by (Circa) 1950 to (Circa) 1954. 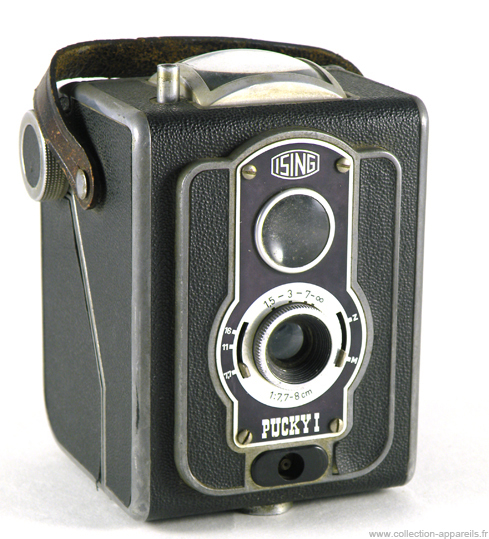 The Pucky I is a nice and heavy camera built entirely built from cast aluminum. Although it was a box camera disguised as a twin lens reflex, it is quite complete and offers a choice of three apertures and the instant and time modes. You can adjust the shooting distance. The shutter is located on top of the device. There is no flap covering the viewfinder.